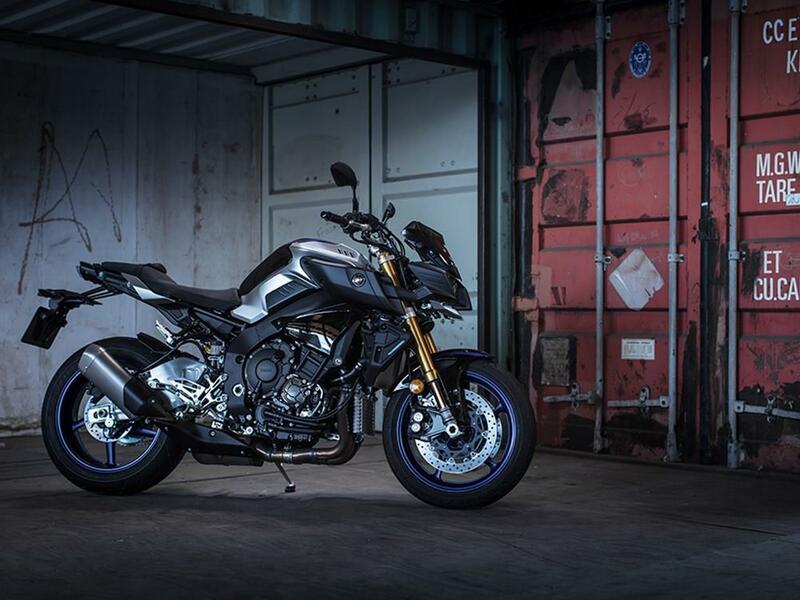 The award winning MT-10 is an excellent bike, and now Yamaha have moved the game forward with the MT-10 SP. 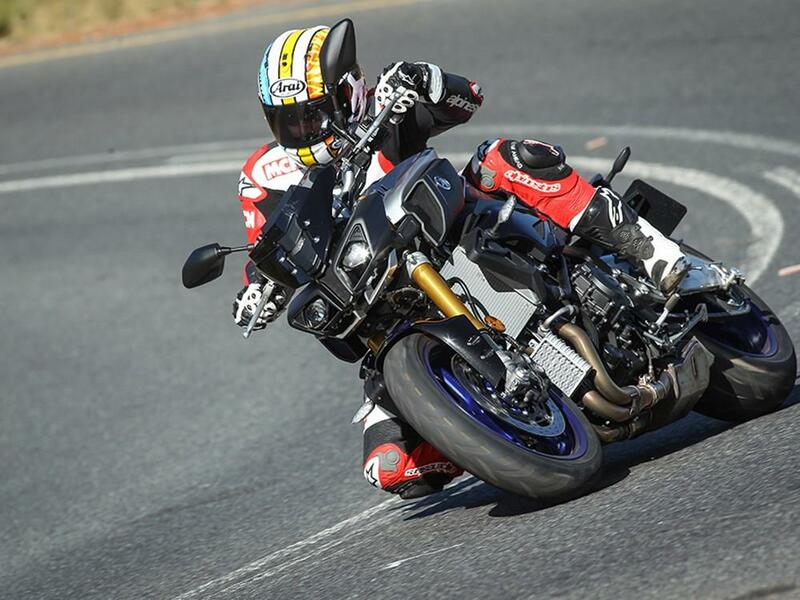 The semi-active suspension gives you more scope, which makes the new MT easier to personalise to the roads you ride and how you like to ride them. The colour TFT clocks, new switchgear and R1M like colours give a feeling of sophistication and quality. However, Yamaha’s biggest competition is the standard MT-10, which is still brilliant in stock trim and £2600 cheaper. 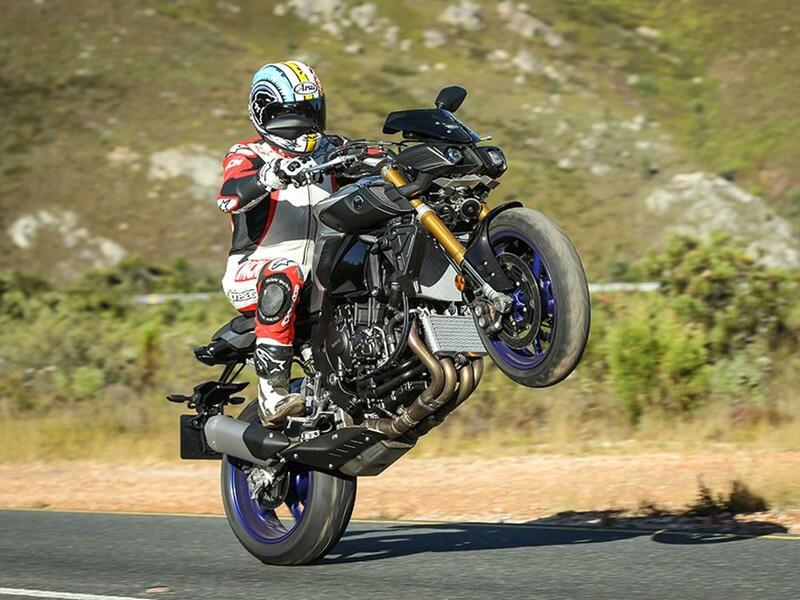 The big difference between the MT-10 and SP is obviously the suspension. It’s now controlled by Ohlins’ semi-active system. This enables you to change the suspension on the move (compression and rebound only) and the suspension responds to road imperfections on the move. There are two semi-active modes A1 and A2, plus three manual modes. In the manual modes the suspension isn’t ‘active’ but you can change the settings electronically. A1 is the sportier of the two semi-active options. Yamaha have left the R1 derived cross-plane engine alone, it’s identical to the standard MT-10. The same smooth 160bhp and 81.87ftlb of torque. It’s a gem; one of the finest engines on the market. It has the over rev and excitement of a conventional in-line four, but the grunt and torque of a V-four or even V-Twin. It will pull from as little as 2000rpm on a continuous wave of power, it’s sublime. Yamaha has a great reputation for build quality and reliability and the MT-10 SP follows this envied tradition. It’s based on the current R1 and, early gearbox recall aside (which doesn’t affect this model), there have been no major problems reported. Yamahs’s standard MT-10 is £2600 cheaper, but doesn’t have clever semi-active Ohlins suspension, or the new TFT clocks, switchgear and colours. At £13,699 the MT-10 SP isn’t cheap. 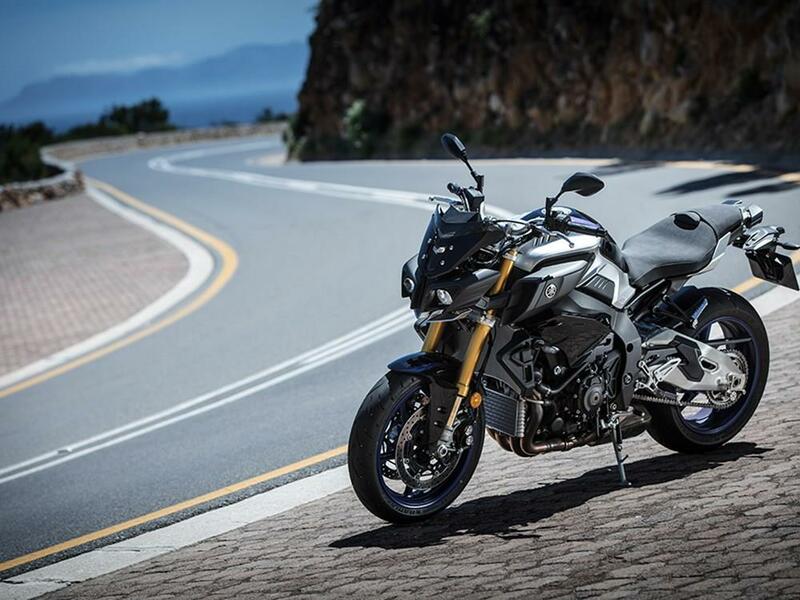 BMW’s S1000R Sport is Yamaha’s closest competion, with unique semi-active suspension and starts at a cheaper £12,725. 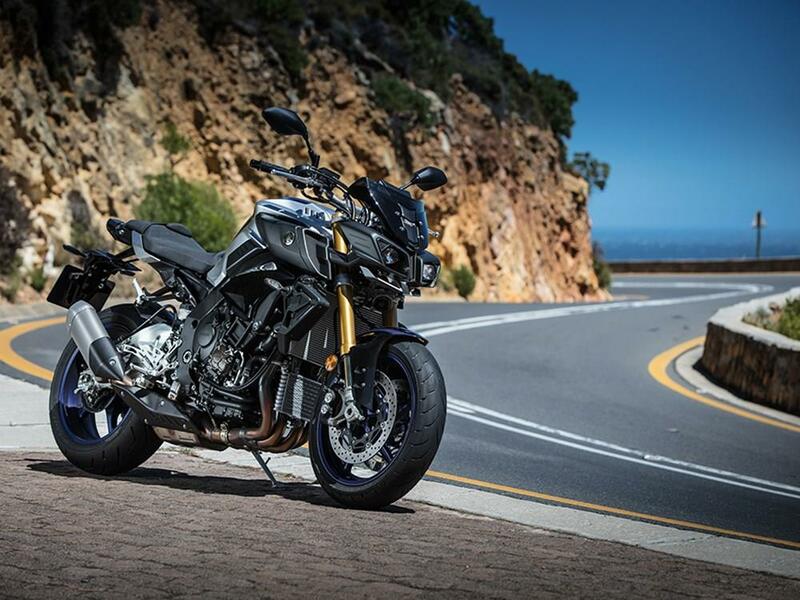 The rider aids are identical to the standard MT-10, this means conventional ABS and traction control, there isn’t slide control or cornering ABS as like Yamaha’s R1 as the SP doesn’t have an internal gyro to measure lean angles. 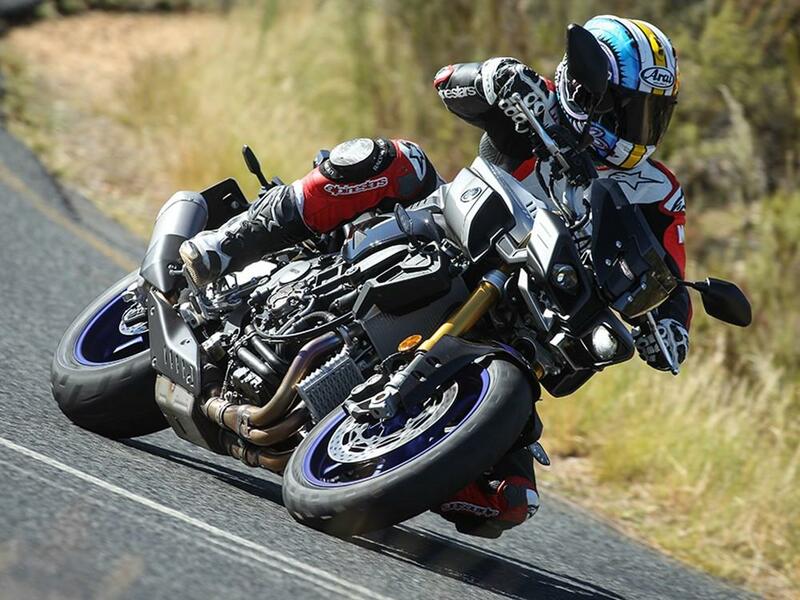 Ohlins semi-active suspension replaces the conventional suspension and the SP gains a full colour TFT dash similar to the R1. 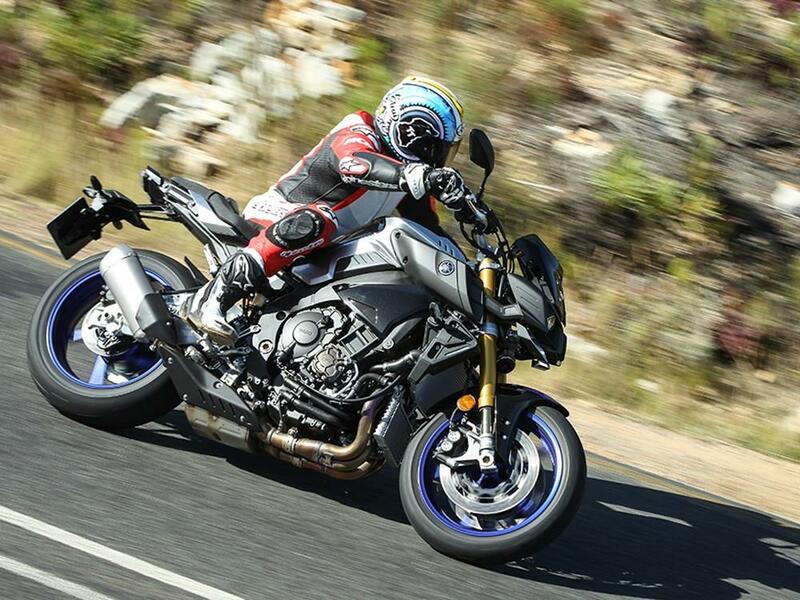 2 owners have reviewed their YAMAHA MT-10 SP (2017-on) and rated it in a number of areas. Read what they have to say and what they like and dislike about the bike below. After having 2 Yamaha FJR’s before the MT-10SP I did wonder if I was having a midlife crisis, but the more I ride it the more I have fell back in love with biking. 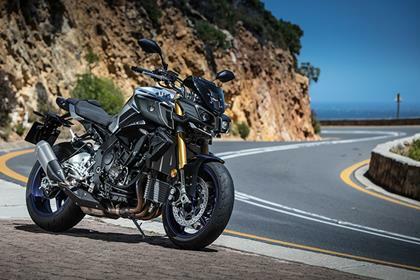 It’s true that I always seem to be going into petrol stations, but I’ll forgive the bike, just for the sheer thrill of that engine and what an engine it is, I don’t do wheelies, perhaps 3 or 4 in 200,000 miles, I think I done more than that on the MT-10 in the first week though to be honest when I overtake cars the last thing I want is to wheelie, I want forward drive but occasionally the bike wheelies, I’ve tried different power modes with different traction control levels with mixed results, some, however might like that. Would I recommend this bike without doubt it's great. Some say the brakes are wooden but I find them ok, I don’t really have that much to compare them to, having FJRs as previous bikes. I got a comfort seat as an option which I would definitely recommend all day comfort. Yamaha heated grips are very good with the controls built next to the grip itself. The only other mod is a Givi screen, though I might get a Yamaha one for going up to Yorkshire to help with the wind blast, but for 90% of the time it’s perfectly fine. This engine is an absolute peach, low down power it’s available in any gear and it’s instant power. It makes this a very naughty bike, like a little devil on your shoulder saying go on give it a bit more you know you like it. As previously mentioned visits to petrol stations are very regular, I’m getting about 35-40 mpg, but it’s not a scooter so you pay your money etc. I bought from P&H Motorcycles Gatwick, and I really enjoyed the experience, I got what I thought was a very reasonable price for my old bike, it was no hassle. And their service department looks the best I have seen. I've had many many bikes, supersport, superbike, nakeds, tourers - This thing TOPS the lot !!!! I'm 6'2/3" and manage 100 miles + without any discomfort, and that's using the standard rock hard factory seat. It surprised me ! Brakes are epic, I can't say I would notice any difference between the standard calipers where compared to that of monobloc M4 brembo's. The build quality is up there with the best I've seen. The exquisite details out-do that of italian exotica in my opinion, and far less susceptible to corrosion than some manufacturers I wont mention. I have ridden in the salt, this has had no detriment to any finishes. So much usable power from any revs mean you don't need to wring it's neck, hence a reasonable fuel economy. Remember this is a 'Hypernaked' so if you need to penny pinch on fuel go buy a paralell twin. Hypersports I've always loved - great for this bike as a multipurpose inspiring plenty of confidence. Don't be surprised if you have the knee slider down near cold on roundabouts ( It really does handle that well ). I had Yamaha genuine heated grips fitted, which are great and no ugly aftermarket control hanging off the bars. There is a 12v power socket in the front cowl, so USB charging is simple with any adaptor. A big plus is the Cruise Control. This is a simple application, kinda rider intuitive really having only tried it once in a 30mph zone however I remember how impressed at how simple it was to use. OHLINS - What can I say, I'm like a magpie and the suspension just winks at me everytime I look at the bike. Exhaust note - anyone familiar with the cross-plane crank knows these bad boys sound something between a RSV4 and a RCV ! No aftermarket can yet, and to be honest I don't think it needs one.